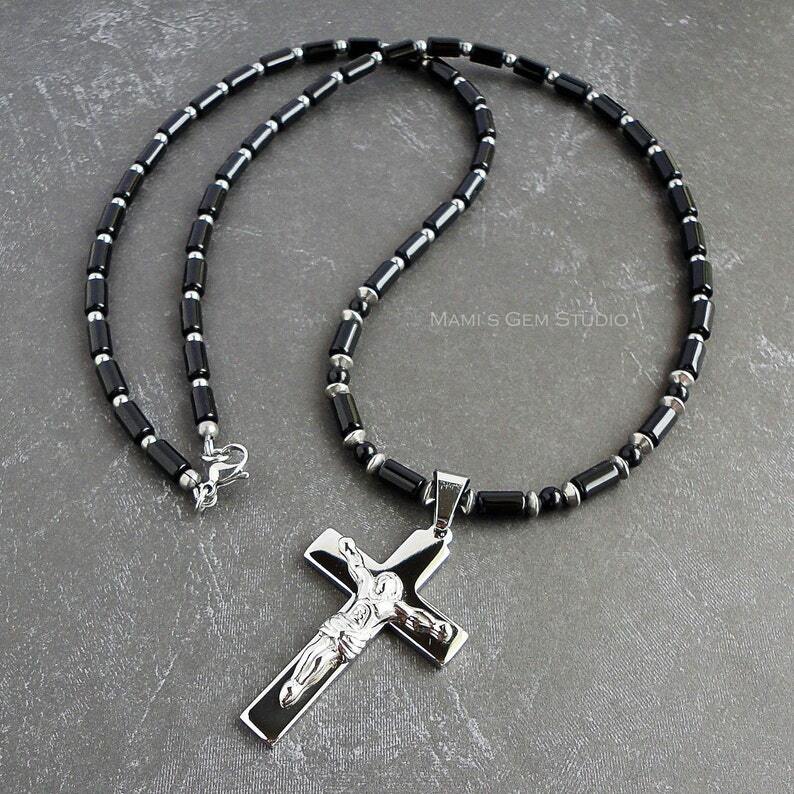 I made this classy cross necklace with genuine Black Onyx gemstone well-polished high quality beads and a beautiful cross pendant with a crucifix Jesus figure, made of 316L grade high quality stainless steel. I have also added simple stainless steel beads/spacers to embellish throughout the necklace, and finished off with a stainless steel lobster clasp. All metal materials are stainless steel.